The buzz in the air is that there’s a new Insects course coming your way, with a swarm of case illustrations and ample remedy exploration utilizing instructor Dr. Millar’s highly effective unique rubric technique. Please join him for this free session introducing “What’s Bugging You? 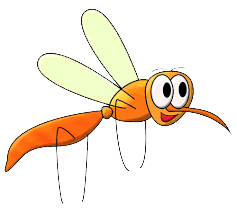 Pests in your Homeopathic Practice;” you’ll never look at a mosquito the same way again. *Participants in the 'What’s Bugging You?' course with Dr. Millar will earn 1 Homeopathic Educational Hour with this Bonus session - 13 hours total! Summer is around the corner and you’re busy as a bee, perhaps visiting the flea market, or stirring up a hornet’s nest somewhere. But you’re bitten by the Homeopathy bug, and won’t let the summer months pass without at least one WholeHealthNow course. We have just the thing for you! We are delighted to bring back enormously popular teacher, homeopath, and naturopath, Dr. John Millar, who will lead you through the fascinating world of Insect remedies. It is thought that, for each human on the earth, there are more than 200 million insects. They are a complex and diverse lot, numbering more species than any other group: over 950,000 different kinds of living insects have actually been identified, and authorities on the subject estimate anywhere from 2 to 30 million species inhabit this planet. 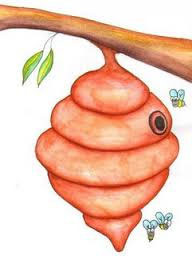 Despite their incredible diversity, some reliable themes are discernible among insect remedies, including hyperactivity, industriousness, a sense of smallness and vulnerability, increased sexuality, inflammation, and burning, stinging pains, to name just a few. The organ and system affections of these remedies will also be considered – urogenital, skin, respiratory, etc. – along with the mental/emotional symptoms frequently encountered in clinical practice. Dr. Millar will employ his trademark materia medica research style, using unique rubrics to illuminate the true essences of the remedies. Cases will be provided in between classes for you to work on, and there will be much opportunity to discuss them with Dr. Millar, both in class and in the Student Forum. 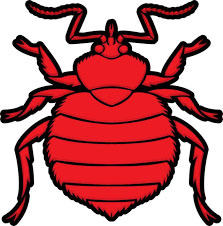 Don’t let the bedbugs bite! Expand your knowledge and sleep soundly, thanks to your newfound mastery of insect remedies. Discs WERE NOT be produced for this course. John Millar is indeed a clinical pearl and gold mine and treasure. Thanks for exposing his knowledge and talents to us. Please could we have more of him?" The webinar was so very helpful and I now have a very thorough and comprehensive set of notes on the GI tract. I really appreciate the amount of work that Dr. Miller put into his presentations. He has a very lovely teaching manner." Thank you for another wonderful course. Dr. Millar is certainly now one of your treasures. He has instantly become one of my favorite teachers. I certainly hope you can entice him back to teach another course for you. I really enjoyed how free he was with his vast knowledge, not to mention how friendly and relaxed his demeanor was. I would certainly sign up for another course taught by Dr. Millar!" 'What’s Bugging You? Pests in Your Homeopathic Practice' is another in WholeHealthNow's ongoing At-Home Learning Series, offering high-quality, affordable homeopathic education.